These easy Sausage, Cheese and Hash Brown Cups are baked in a muffin pan for individual servings – ideal for your next brunch! 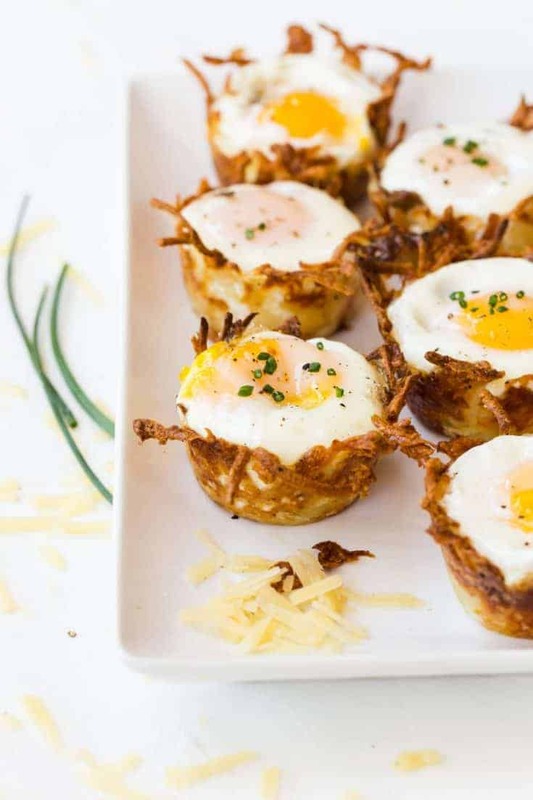 Cooking sausage, eggs AND hash browns for breakfast is a true labor of love, but you can get all the savory flavors of your favorite breakfast foods in one convenient (and super cute) package with this recipe for Sausage, Cheese and Hash Brown Cups. Hosting guests for brunch or just want to keep a hearty breakfast option in the fridge for the week? 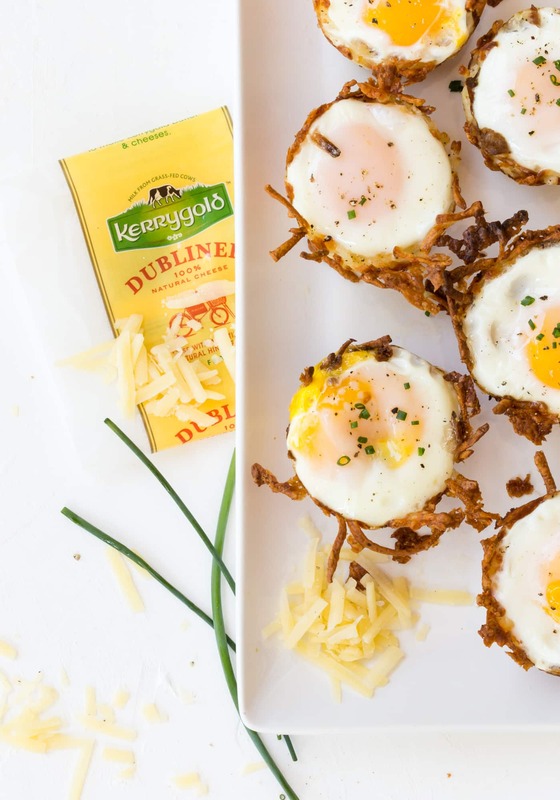 Bake up a pan of these Sausage, Cheese, and Hash Brown Cups made with one of our favorite Kerrygold cheeses, Dubliner Cheese. A quick read reveals that this recipe requires two separate baking steps. That may seem a bit daunting, but don’t dismiss it yet. The first step – baking the cheese and hash brown cups – can actually be done the day before. Simply keep the baked cups in the fridge until you’re ready to use them. All that’s left in the morning is to pop the sausage and eggs in the hash brown cups and bake. We love our eggs a bit on the runny side, so plan your bake time accordingly (anywhere from 8-12 minutes depending on your oven). A quick seasoning with salt and pepper and an optional garnish of fresh chives is all that’s left before you dig in. Tip: Generously grease your muffin tins to ensure the hash brown cups release easily. Not a sausage fan? Substitute bacon instead. Or leave it out entirely and add a sprinkle of chopped bell pepper or tomato to the hash brown cups. Or do a combination half meat, half vegetable. However you make them, these Sausage, Cheese and Hash Brown Cups are easily adapted to your taste. The fact that look adorable is an added bonus. This recipe is easily doubled for large groups.